This was a fantastic sandwich. I have no great story to tell you, I do not desire to obfuscate this point with discussions of sandwich philosophy. This was just a Reuben, executed perfectly. 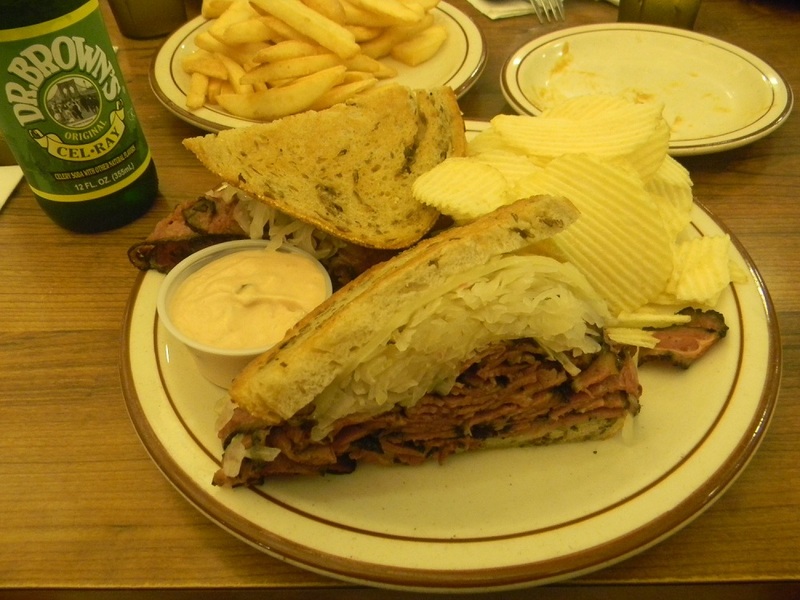 Not long ago I had a disappointing experience with the Reuben at The Garret. If you’re interested there’s a picture here, but I decided not to post about it because I try to keep things positive and I’d already run down The Garret once. I need no such hesitation when discussing Canter’s, however, as I have nothing but good things to say. Canter’s is a deli, an honest, old fashioned Jewish deli that understands that there’s a certain way to do things, a right way. The Reuben isn’t complicated, but it’s easy to just rest on the recipe and assume that so long as you bother to put it all together the finished product will be good. 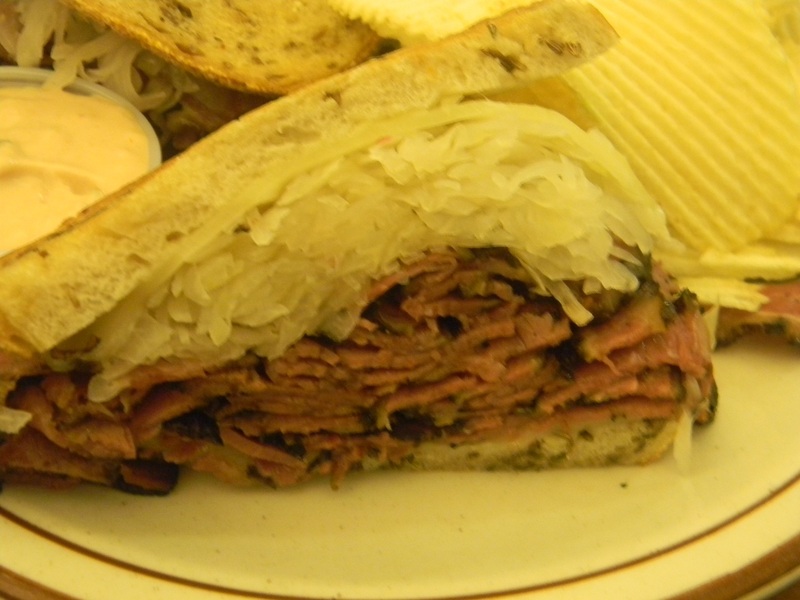 I suspect that’s what happened at The Garret, someone figured that Reubens are good sandwiches and the details would sort themselves out. Canter’s doesn’t make that mistake, starting with a big pile of pastrami. The spices and the smoke and the salt all came together for a flavor that was about as bold as it can be before it overwhelms the rest of the sandwich. Helping to hold it in check was the sauerkraut, tangy and with a subtle crunch to oppose the tender meat. The bread was rye in both name and flavor, a combination that too many rye breads are missing. The Swiss cheese and the Russian dressing were both unspectacular but thoroughly satisfactory, bringing together a really great sandwich. As I walked out of Canter’s, holding a black & white cookie from their bakery, I thought to myself that I’d just eaten a damn fine sandwich. Several hours later I had the same thought. The next day, again. It’s weeks now and I’m looking at that picture and thinking about how good this sandwich was. The classics are classics for a reason, and we’re lucky to have places like Canter’s that show them the respect they deserve. Of course! Quartered and served on a separate plate (replenished as it was emptied), the pickles were highly satisfactory but ultimately less than spectacular. Katz’s pickle is better by a mile.